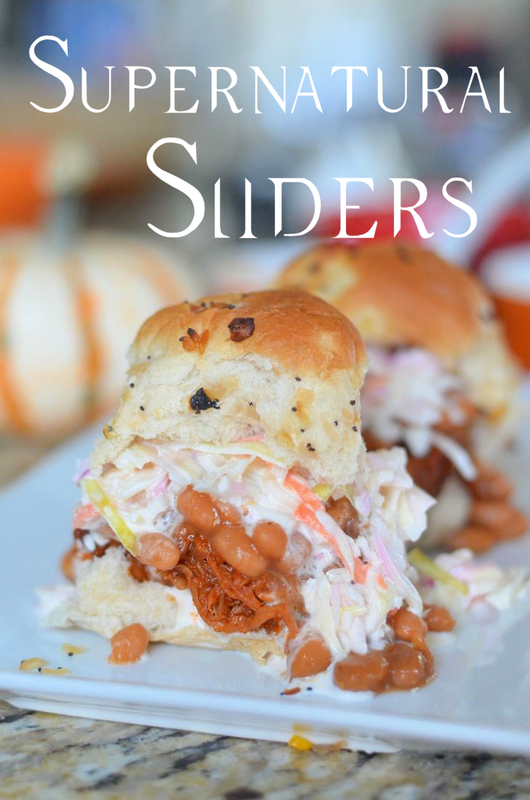 For this year’s Halloween Bash Spooktacular I am making these Supernatural Sliders. They simple because FarmRich has Beef Brisket available int he freezer section that you can heat up in the oven or microwave not long before trick or treating or right before the party starts. We named them after Dean from Supernatural TV series since he eat crazy food like this. Our Halloween Bash is based on Supernatural this year. Everyone is coming in costume based on characters from the show. I knew I had to make food that Sam and Dean would eat. These Supernatural Sliders just happened to fit perfectly. We plan to have these with cherry pie and drinks. Of course, a bit of pumpkin treats and candy galore! What’s Halloween without good food and candy? Geez, I have to tell you how awesome these were with the onion rolls. The family is begging for more and now cannot wait until Halloween. This so gets me out of cooking that full scale dinner. If you too are looking for a hassle free Halloween dinner or party appetizer then grab a coupon, head out to your local Walmart, and check out the Farm Rich Smokehouse line! The dry rub products are a high protein and have no preservatives. A frozen item you can feel good about keeping on hand to put in any meal to feed your family. These un-sauced items are perfect to have on hand to throw into a favorite recipe (pizza, casserole, tacos, etc). 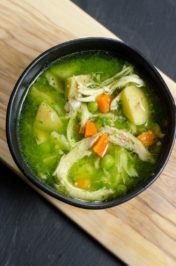 They are fully cooked and already shredded, making Halloween family dinners that much easier! 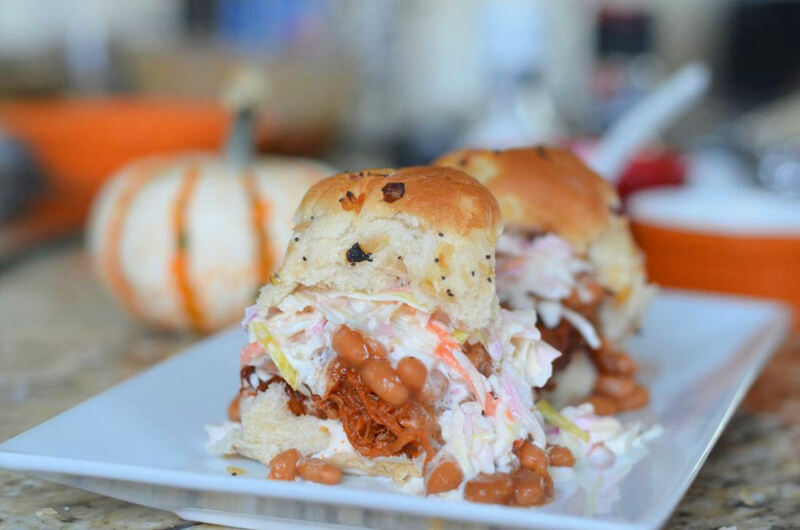 Supernatural sliders are beans, cole slaw, and brisket topped on a onion roll. Heat FarmRich beef brisket as directed on package. Set aside. 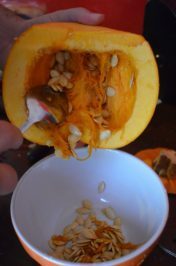 In a large bowl, mix in dry cole slaw, whipped dressing, apple cider vinegar, sugar, salt and pepper. Mix well. In a small bowl, add in beans and microwave as directed on can. Open rolls and place beef brisket on roll, top with beans, and top with cole slaw. Place top bun on. 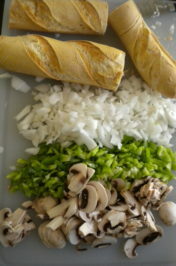 Serve on platter with napkins. Oh my word these look delicious!! I really should stop reading yummy posts when I’m starving lol! You have made my mouth water with these amazing little sliders! Excellent job! I love the combination of ingredients. Looks and sounds absolutely delicious! These look ah-mazing! I love the addition of pork and beans – what a great twist! I will be making these. Your supernatural sliders look supernatural yummy! That cole slaw just takes it over the top! 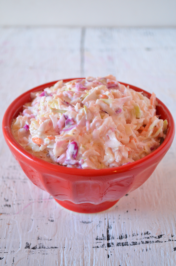 I love adding slaw to my BBQ – it tastes amazing! I cannot wait to give this recipe a try, too! Your recipe looks fantastic and perfect for an easy weeknight dinner. Thank you for sharing, I can’t wait to try it! These look so good–thanks for sharing. I love that you added the beans onto the slider! I always have them with my BBQ, but I’m usually trying to chase them around my plate. This is a much better option! Wow this is one awesome, flavor packed, slider! Yum! There are no words. Just pass the plate, a fork and several napkins…….I’m diving in!!! I can’t even describe how YUM that looks!